We know that the person making your delivery is important. Whether it’s business or personal, the person handing over your package is an extension of you. That’s why we hire only the best, most professional people. At White Van Gentlemen, we take Richmond Deliveries seriously. We’re always on time, and our experience of the local area means we stay ahead of the traffic. Whether it’s a regular delivery service, or a one-off, we make sure we put your needs first. Our highly trained team of logistics experts know how much your package means to you, so you get complete peace of mind, every time you hand something over to us. Our comprehensive insurance also means you’re fully covered, even if the worst should happen. Why not give us a call today and find out exactly why we’re the best Richmond delivery service around. Looking for the most personable, professional delivery, storage and removals company in Richmond? Well, you’ve come to the right place. We pride ourselves on the hundreds of jobs we do in the area, and every one of our happy customers. 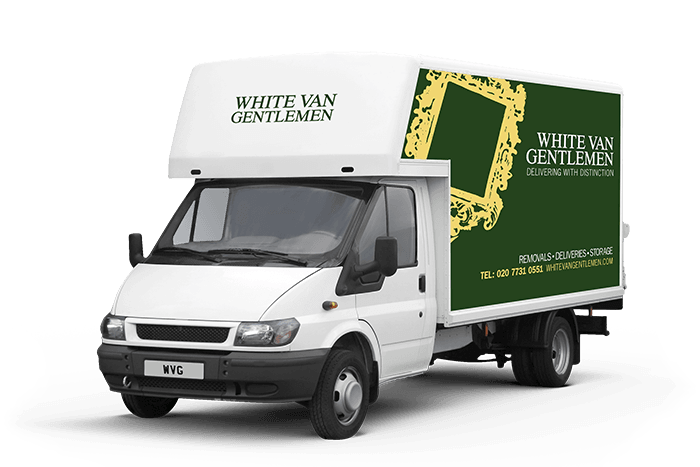 Hiring us means you’re getting a team of courteous, highly trained personnel who really understand your needs, so call White Van Gentlemen today, and find out why we’re the best at what we do.